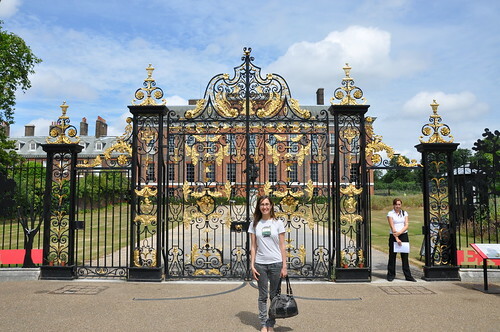 So, I wanted to see inside a palace. Any palace would do. 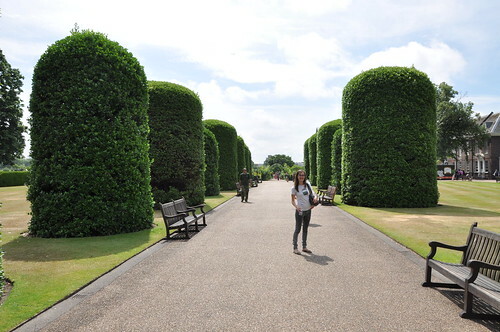 But once I found out how far Hampton Court palace and Windsor Palace were, we decided one in the city would be better. 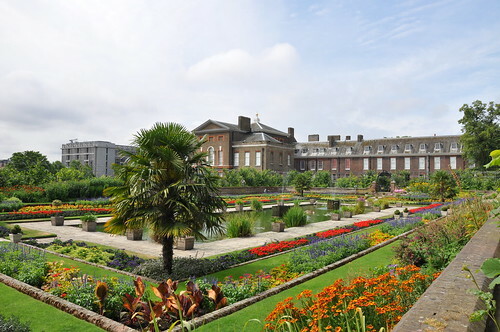 So Kensington Palace was it. The outside is the main attraction of the palace. 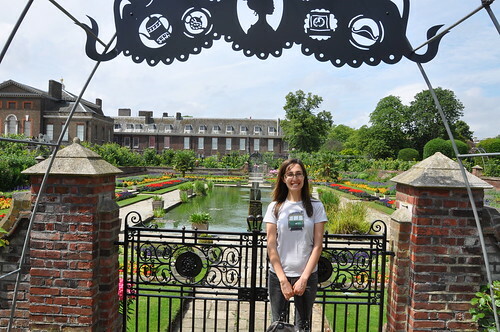 It was wonderful ornamental gates and beautfuil gardens. They must have a full time gardening team to maintain all the hedges, flower beds and trimmed lawns. Was quite a sight to see. Wow on the colours and textures. I loved all the ducks that were in the pond too!! The palace building looked quite grand behind. However…. The inside of the palace didn’t allow photos, and we wouldn’t really want pictures either. They had installed *art* installations targeting kids in the palace as an ‘interesting’ way of telling the stories of the 7 princesses who had lived in the palace over the centuries. However, they didn’t give any textual, factual information about the princesses, only symbolic art works and single tag lines. Rob and I were almost *crying* for a pamphlet to tell us about the princesses and their lives and these beautiful rooms. But we were only told that this princess went to lots of parties and that princess was very sad because she married an older king. Despite the disappointing art installations and lack of knowledge actually taught, we were pleased that we only payed half price for the entry. Turns out there are quite a few promotions to get discounts to entry to various tourist attractions. We did ours through the Great Western train website. Keep that in mind for you future travellers! And hopefully I find the next palace a more informative and enjoyable visit.